de la Taille? Étienne Jodelle? 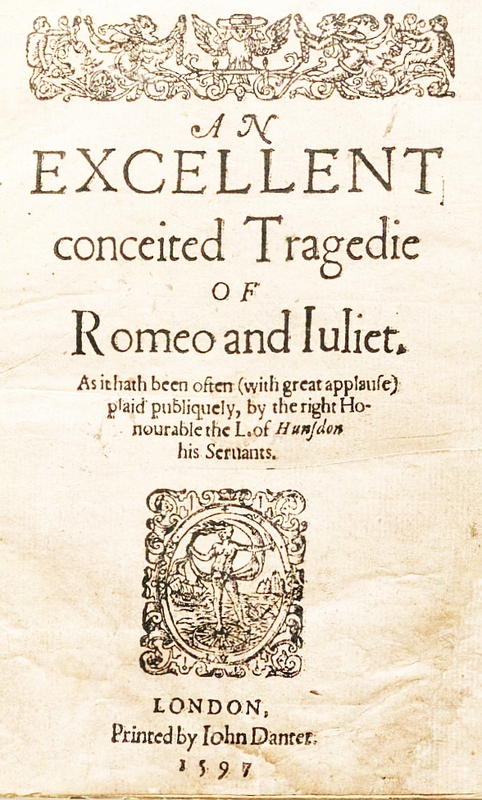 producing and circulating modern translations of classical plays. written around six hundred plays. narrated by a comic actor. 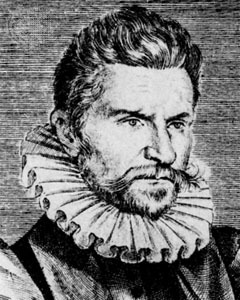 many French playwrights endeavoured to retranslate or to imitate it. bewitched spectators and set an entirely new standard for theatre. productions she often joined in the acting herself! introduce the writings of Matteo Bandello into the rest of Europe. to what this later inspired? Thinking about a degree at Oxford? Why not try us out for a week this summer? 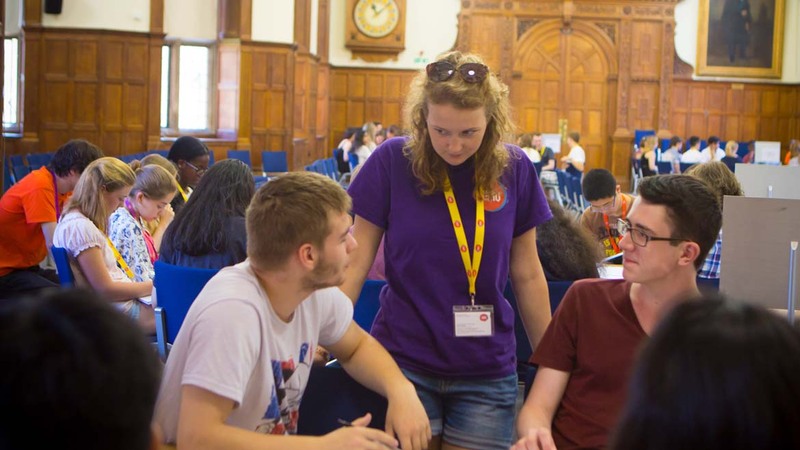 If you’re currently in Year 12 of a state school, and have some free time in July this year, please do think about signing up for the course, or for one of the dozens of others on offer, including German, Spanish, or ‘beginner languages’ to give you a little experience of Russian, Portuguese and Italian languages and cultures. The French summer school runs from 2-8 July this year, the German summer school and the Beginner Languages school both run from 16-22 July, and Spanish is 23-29 July. This UNIQ course is a chance to immerse yourself in the literature, theatre, poetry, film and linguistics of the French language.You will spend daily sessions at the Language Centre practising and improving your existing language skills, followed by fascinating lectures and seminars, and the chance to use the world famous Taylorian and Bodleian libraries for private study. Our aim is to give you a taste of what it is really like to read French at Oxford, and to give you a sense of the unrivalled breadth of our course. Throughout the week, you will have the opportunity to hone your language skills and consolidate your knowledge of French grammar. You will also participate in classes introducing you to an exciting array of topics, ranging from Linguistics and 17th-century tragedy to French-language cinema and 19th-century poetry. You will be expected to do some preparatory reading before the course so that you can make the most of the week you spend here: we’ve chosen Annie Ernaux’s 20th-century classic autobiographical text La place. We will post a copy of the book to all successful participants in early June. Following a lecture that will explore some of the key themes and contexts surrounding Ernaux’s book, you will have the chance to test out (and flesh out) your ideas in a seminar. On the Friday, you will even experience an Oxford-style tutorial, in which you and three other students get to discuss your close reading of a poem with a specialist. You can find details of all the courses on offer here, along with information about how to sign up. The deadline for applications is February 3rd, so you don’t have long to think about it, I’m afraid. We hope to see you in July! 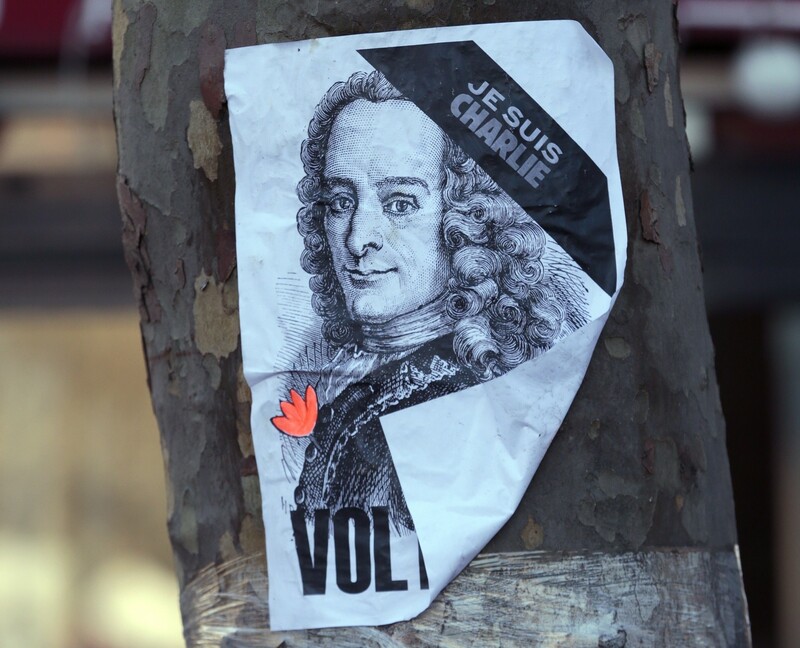 You might have seen that in the vigils and marches that followed the Charlie Hebdo assassinations on 7 January 2015, posters of Voltaire like this one appeared everywhere, along with some of his polemical slogans about the importance of religious tolerance. Dozens of university lecturers in France who teach Voltaire and other eighteenth-century writers, and who were all as distressed by the events and by the increasingly polarised politics that followed as anyone else, decided to put together an anthology of texts from the Enlightenment. This anthology would make available to everyone what writers of the time said about liberty, equality, and fraternity, about the importance of religious tolerance, about the rights of women, about the abomination of slavery, about the exploitation created by a system of global capitalism, and so on. It would contain the original text of the Declaration of the Rights of Man and of the Citizen, enshrined in the French Constitution since 1789, and it would also contain the Declaration of the Rights of Woman and the Female Citizen drawn up by Olympe de Gouges, which was roundly rejected in an atmosphere of general hilarity. Some of the extracts would be witty, some would be serious or even tragic, some might even seem objectionable to us now, but all would be arguing their point with great passion, and the collection as a whole would shine a light onto a world and a century which have many more connections with us than we would ever have thought. This anthology, entitled Tolérance: le combat des Lumières, was published in April 2015 by the Société française d’étude du dix-huitième siècle. We in the UK wanted to support and applaud this initiative, and we wanted to extend its readership. So we decided to translate it. And we thought, who better to translate this texts than our students? They are the citizens, female and male, of today and tomorrow, they are deeply engaged in our world, and they are brilliant at languages. At Oxford we do a lot of translation anyway – we translate about half a page of French into English, and the other way round, every week. We do that because it develops our language skills immensely – it challenges us to be linguistically inventive while never letting us off the hook in terms of grammatical accuracy and syntactical fluency. It is quite hard, but we love it, not least because we all do it together in college classes. You’d never believe how many different ways of translating a single sentence there are. Translation is also a particularly intense way of reading, because to translate something you really have to get inside the text. It’s incredibly stimulating, because you’re both reading and writing at the same time. So, one hundred and two of us – tutors and their second-year students (who don’t have any exams) from lots of different colleges – translated the anthology this past summer term. And we published it on 7 January 2016, the first anniversary of the shootings. We launched it at the annual conference of the British Society for Eighteenth-Century Studies, which supported the project, and it has received some nice coverage in the press and online. On the first day it was downloaded more than 4000 times. We were amazed! So here it is, free to download. Every single text has a link to the original French, sometimes in the original eighteenth-century edition. Have a look! Because if there’s one audience we really want to reach, it’s you! You are our future, and our future needs open-minded thinkers, and it needs linguists. Go for it! Whilst France is proud of its republicanism with ‘liberté, égalité, fraternité’ as its motto, and of its secularism or ‘laïcité’, many of its traditions go back to the ‘Ancien Régime’, the pre-revolutionary catholic monarchy. 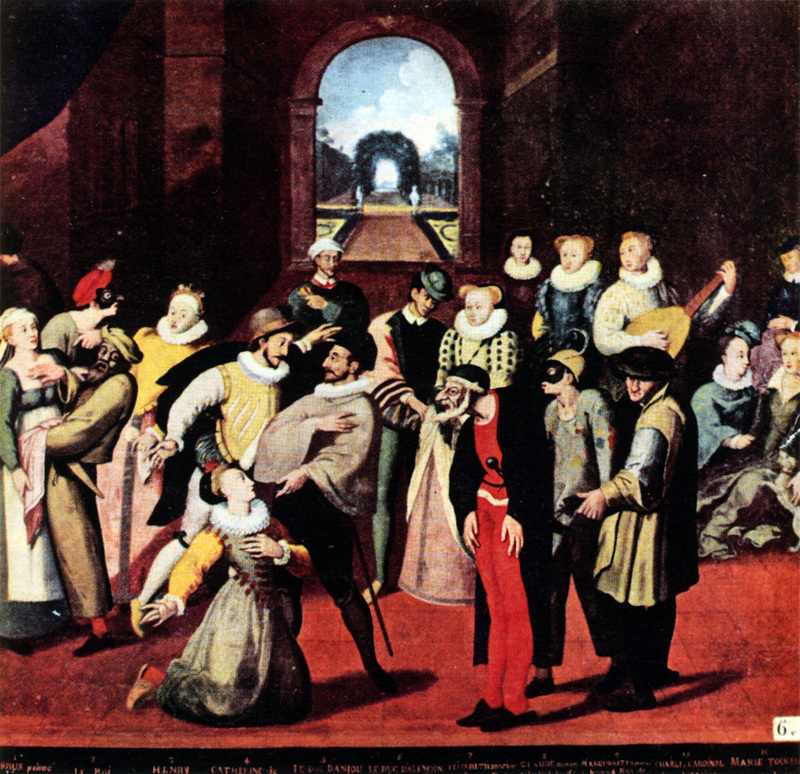 One of these is derived at once from marking Epiphany or Twelfth night (‘l’Epiphanie’ or ‘le jour des Rois’) when the three wise men (‘les rois mages’ or magus kings as they are known in French) are said to have bestowed gifts on Jesus, and from carnivalesque celebrations in which social hierarchies could briefly be reversed, in the spirit of the Roman Saturnalia. 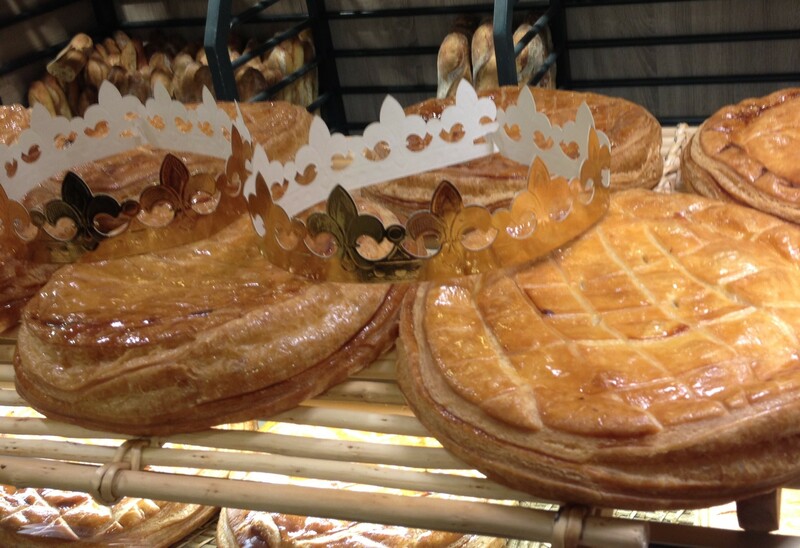 The ‘galette des Rois’ is the sweet pie served on the ‘jour des Rois’. Like Victorian Christmas puddings, it contains a charm. Originally ‘galettes des Rois’ were baked with a raw broad bean or ‘fève’. Whoever found it in their portion became king or queen for the day. Modern boulangeries and pâtisseries offer a bewildering variety of ‘galettes des Rois’ with little china or earthenware charms called ‘fèves’ after the more prosaic pulse used in bygone years. 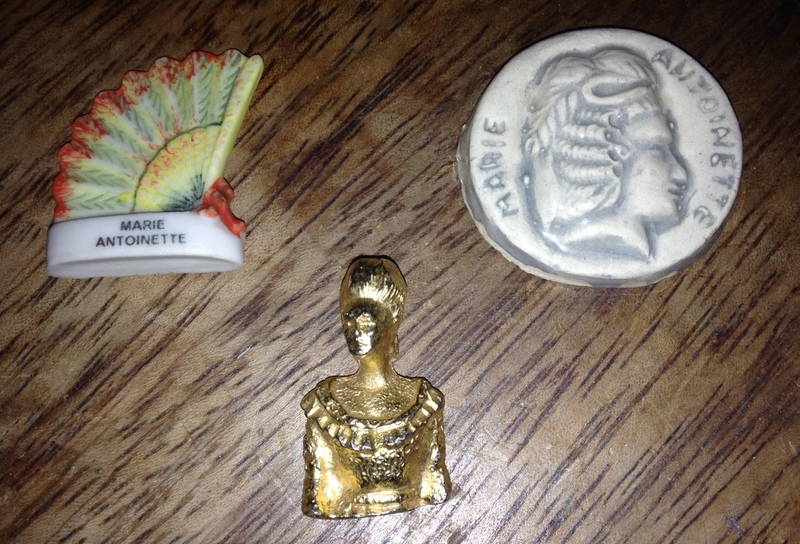 The first of these porcelain charms are thought to have been in the shape of babies meant to represent Jesus. When the Revolution briefly renamed the ‘galette des Rois’ ‘galette de l’Egalité’, the republican ‘bonnet phrygien’ or Phrygian cap was the inspiration for the shape of the ‘fève’. The most usual recipes for ‘galette des Rois’ are of ‘pâte feuilletée’ (puff pastry) filled with ‘frangipane’ (frangipani or almond stuffing), except in the South of France where the ‘gâteau des Rois’ is a brioche flavoured with orange blossom (‘fleur d’oranger’). 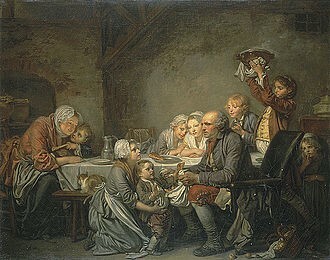 When the pudding is served, chance plays its part in the selection process which is called ‘tirer les rois’: the youngest member of the party, ‘le benjamin’, squats under the table and calls out the name of the person to whom each piece of the ‘galette’ is to be given. You become king or queen, can choose a consort and are allowed to keep the ‘fève’ if it is your piece of pie. 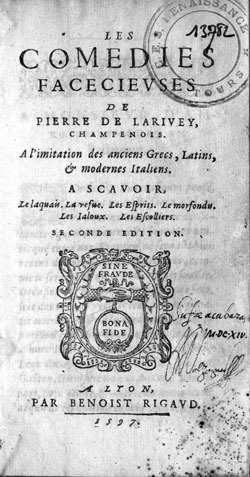 Collectors of ‘fèves’ are known as ‘fabophiles’. Nowadays, pâtisseries and boulangeries supply paper crowns when you purchase a ‘galette’ and the ‘fèves’ come in many shapes, from cartoon characters like Astérix or Tintin to famous people like Marie-Antoinette or Napoleon, from Provençal ‘santons’ to cars, planes or all manner of other things including rings—which may allude to one legend: that the inspiration for the first ‘fève’ was the heroine of Perrault’s fairytale, ‘Peau d’âne’, losing her ring in the cake she baked. In the latter half of the eighteenth century, before the Revolution, when republican ideals were being actively discussed by some intellectuals, the ‘philosophe’ Denis Diderot (1713-1784) wrote occasional verse when he became ‘roi de la fève’ two years running. Here is the beginning of the ‘Complainte’ in which he refers to ‘les embarras de la royauté’, the particular troubles one has to face when one is monarch. Vraiment, je fis des lois, je les fis même en vers. En vers mauvais ; qui vous dit le contraire ? But then writing bad verse, he adds, is not a cardinal sin, even if you are a king! Avoir une affaire: nowadays ‘affaires’ refer to business. A businessman or woman is ‘un homme ou une femme d’affaires’, if you work in business you are ‘dans les affaires’. If you say ‘j’ai une affaire en ville’ it means I have some business to sort out in town. In the poem ‘avoir plus d’une affaire’ means to have a lot on your plate which you need to sort out. Arsenaux à munir: ‘arsenaux’ is the regular plural of ‘arsenal’, which was originally where warships were built and armed. It is also, as in English, a weapons depot—and that, incidentally helps explain why Arsenal footballers are known as ‘the gunners’. ‘Munir’ here has the same root as ‘munitions’ (the noun exists both in English and in French). It basically means to stock up or equip. It can be used simply to say that you have what you need for a particular purpose: ‘pour faire mes courses, je suis muni(e) d’un gros sac’ means you are well prepared with a big bag to go shopping. Hargneux is an adjective formed on the noun ‘hargne’, spite, so it means spiteful or aggressive. 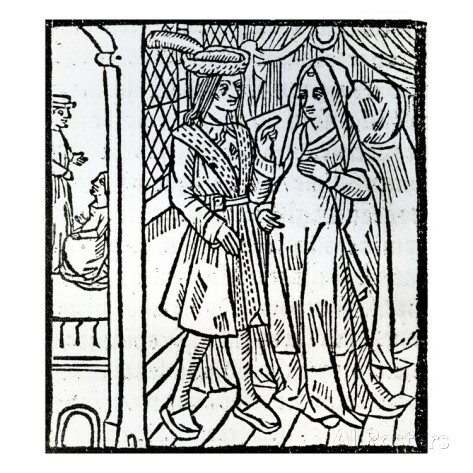 Prévenir : Here it means to prevent, as in the popular saying ‘mieux vaut prévenir que guérir’. Often it is a synonym of ‘avertir’, to warn. Here is a 1774 painting called Le Gâteau des Rois, housed in the Musée Fabre in Montpellier. It is by one of Diderot’s favourite artists, Jean-Baptiste Greuze (1725-1805). It is a ‘scène de genre’ or ‘genre painting’ showing ordinary people in a domestic setting and is a far cry from some of the grandiose mythological pictures which other contemporary painters produced. Greuze made a point of representing family members in their homes, usually wearing their everyday clothes. Here, our attention is drawn to the expressions on the characters’ faces: something special is obviously happening. One piece of the ‘galette des Rois’, in the middle of the picture and of the table, has been set aside. It is probably the ‘part du pauvre’ (literally, the pauper’s share), traditionally kept for anyone who might walk in. The youngest child is not hidden under the table as he would be nowadays. He is pulling the pieces of cake out of a white napkin held by the paterfamilias as the names of the people present are called. Greuze shows how a simple event can turn into a ritual and a moment of domestic harmony. It suggests that you do not need wealth and luxury to enjoy moments of peace and happiness.